Okay so in truth, I haven’t quite made it to the fearless end of the path. In fact, I’m just starting out, but I’ve already learned a few things and I’ll share what I know so far. 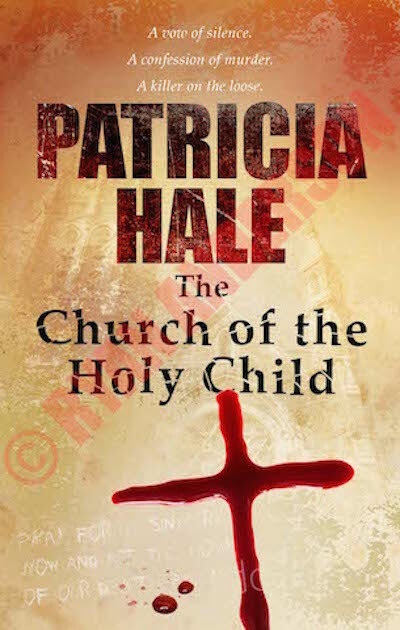 My new book, The Church of the Holy Child, was released on September 25th. Exciting, right? Yes, very. After all the writes and re-writes, there it was in print, in my hand. The only drawback . . . with release, comes promotion. It’s both a blessing and a curse to publish with a small press. Because my publisher is small, communication is excellent. If I have questions, I get answers within hours. I have plenty of say when it comes to editing and the cover art and the process in general. Working with a small press is like being part of a family. The downside? I’m responsible for much of the book’s promotion. For some people, getting out in the public eye and selling yourself as well as your book is a piece of cake. But I have a hunch I’m not alone when the mere thought of self-promotion puts my heart in overdrive and my stomach simulating the twists and turns of Space Mountain. Fast forward to the C3 Conference I attended in Maryland a couple of weeks ago where I was scheduled to take part in four panels and moderate one. (Obviously, the scheduling was out of my control.) And since my publisher, Intrigue Publishing, put on the conference, I couldn’t very well back out. It was a great opportunity to get myself and my book noticed. The panels were only forty-five minutes long. I could do anything for forty-five minutes. At least that became my mantra for the weeks prior to the conference. But what happened when I sat on my first ever panel surprised me. My fellow panel members were all a little nervous (even the bigger names). They joked about it, were kind and supportive and I felt like one of them instead of the new kid. The most surprising thing of all was that the panel and the audience were interested in what I had to say. And I answered the moderator’s questions with ease because I knew better than anyone about my writing process and why my characters did what they did. And somewhere in the midst of it all I realized I was having fun and that my heart had settled back to its normal beat. That’s the mantra I’ve taken away from the C3 conference along with new friends and contacts and a little more confidence than I had when I got there. Most writers are quiet people, introverts. And the idea of self-promotion can bring on overwhelming anxiety. But what you tell yourself really does matter. Remember, you are the expert on your work. You can do anything for forty-five minutes. As my grandmother always said, “Tell ‘em who you are.” And above all, be fearless.